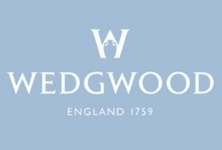 Established in 1759, Wedgwood have been making luxurious and premium quality home accessories for more than 250 years. The Wedgwood Rugs collection continues the company’s quest to beautify living spaces, blending old and new in stunning designs that integrate into any décor. These rugs feature wool and silky viscose yarns, offering the perfect combination of resilience and elegance. From traditional floral or neo-classical patterns to stylish geometric designs, Wedgwood Eugs provide a convenient solution to create a refined décor in your home. We carry many gorgeous designs, to help you transform your home at a great price. Choose from subtle or bold designs, select a light neutral rug that blends into a minimalist interior, or make a style statement with a vibrant floral rug that stands out in any interior. Refined and expertly crafted, Wedgwood Rugs are an ideal choice to enhance the appearance and ambience of your home. Featuring both more traditional and more contemporary designs, these Wedgwood floral rugs suit various living spaces and interior design schemes. Here you can find Jasperware-inspired patterns as well as intricate flowers in bloom and highly detailed designs. Colours range from Wedgwood blue and teal to charcoal, with accents of bright colours also featured across many rugs. Whether blending gold and cream or navy with muted dark red, these rugs will add a sophisticated accent to any room. The collection of Wedgwood floral rugs are conveniently available in various sizes, to suit any living space and budget. Designed with plenty of timeless elegance, the collection of Wedgwood geometric rugs look at home in both classic and modern interiors. These stylish rugs feature hand carved patterns and a combination of wool and silky viscose. The former ensures that the rugs are resilient and durable, while the latter adds a glamorous touch to the designs, giving the surface a subtle shimmering finish. Luxurious and comfortable underfoot, these thick rugs are perfect for making a room look chic and feel welcoming and warm at the same time. The collection includes neutral tones as well as gold and cream, teal and gold, or pink colours. This means that you can easily find the ideal match to complete your home’s design scheme in style. Taking inspiration from centuries-old patterns, this collection of Wedgwood traditional rugs brings vintage charm into your home. Perfect for a classic décor, these rugs would also look striking as an elegant accent in a modern or eclectic interior. The designs range from intricate and detailed to more understated, with colours also covering a wide spectrum, from ivory to navy blue. Made from top quality wool or a blend of wool and viscose yarns, these rugs are hard-wearing and long-lasting as well as warm, comfortable, and sound-absorbing. Perfect for bedrooms and living rooms, Wedgwood rugs will instantly create a focal point in a room, protect wooden flooring, and make the interior feel cosy and stylish at the same time.